When he was six years old, Peter Maas nabbed his grandfather’s garage key and snuck into his own future. Inside the shop, he found himself captivated by the shelves of carburetors and spark plugs, and old pictures of his grandpa’s TT racing days at Assen. 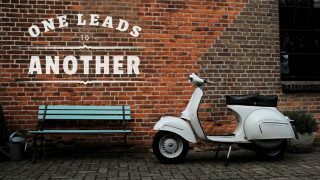 From that moment on, Maas was obsessed with old things, and especially with old things that motored about on two wheels. As much as any other car, the Ferrari 330 P4 is the embodiment and culmination of an entire era of racing. With its low-slung stance and voluptuous lines, it is also among the most visually stunning cars ever produced. Combine these factors and the word “icon” slips to the tip of one’s tongue. From magazine cutouts to the real deal. Boxy is beautiful, just ask Pininfarina. Dino + F40 bits = this beast. 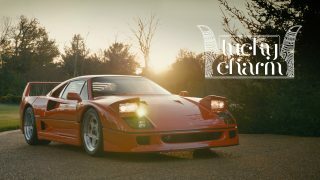 Have been flicking through so many Petrolicious short films over the last few days. The production values aside, what’s amazing is that the cars vary hugely but the owners are remarkably consistent. Nothing to do with ethnicity or background or where they happen to live, its the passion that they share. The back story on a Ferrari or Porsche is just as interesting as that on a Jeep or Mazda. Absolutely love the way their stories have been told. 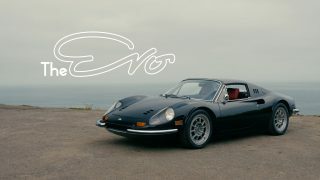 Nice work Petrolicious!! Absolutely amazing . I think, that words can´t desribe the wonderful atmosphere of this video. Excellent and subtle choise of music, location and of course car and it´s deatails (clicking sound of ignition fuel pump) and in general the real mechanical feel of this car. 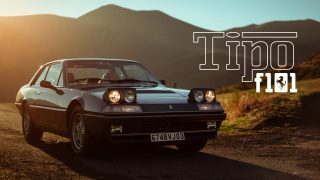 Petrolicious has done a really great job. Great videos with professional quality, like the scene in downtown LA with the billboard in the background. It says “Mint Condition”. Love those small and subtle touches. I’ve been watching this video for everyday for the past week; can not get enough of this marvellous car! I have to make a small correction. The owner states that the body was penned with no aerodynamic consideration but the Kamm tail was developed by an aerodynamicist as a more efficient method of closing the airflow. Are there any wallpaper stills available (such as the lead shot that’s shown before the video is played)? What an incredible video! 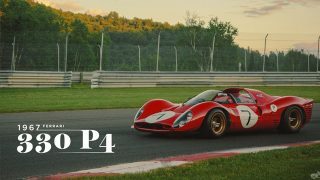 I love that Petrolicious includes interviews with the owners of these cars to really bring the relationship between driver and automobile to life. Kudos to Mr. Chen for keeping that beauty on the road and not locked up in a display case. Words cannot express…. but I’ll try anyway. This car was the reason I moved from small town Montana to study design in Turin. It makes my heart ache in a way no other car ever has. beautiful car, beautifully done video. 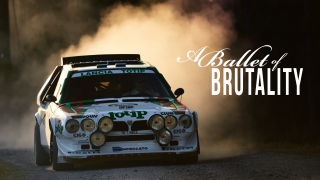 Petrolicious has outdone itself, bravissimo. Hey all, wow love that , keep them coming, I love this site. What’s the song that starts at 4:55 and goes until the end of the video? We get asked about our music quite often. It all comes from a commercial music library. Unfortunately none of the artists or songs are ones that you can buy as a consumer. Those cars are exquisite. Great to see one appreciated and really used. The contempary Ferraris don’t close. 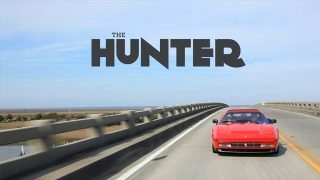 Great Car and Great Video – Well Done!!! Is it possible to upload a wallpaper of the shot that shows before playing the video? Would be nice to have this in good quality! A downloadable Lusso infographic is on its way. We’ll get a clean version of the shot you like as well for download. Great! That is exactly why I like Petrolicious so much! 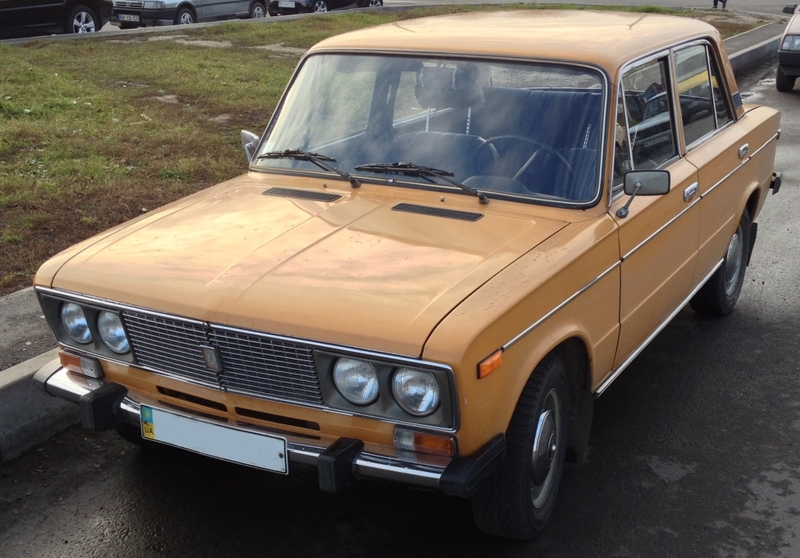 I had one of these in 1972… Bought it for 7K. Sold it a year later for 8K! Ouch!! Coulda beens…shoulda beens. Never look back. I would drive it down through the “canyons” of Wilshire Blvd or my office underground parking garage in first or second gear and listen to the car alarms go off. Lots of cars since then. This is the one I wish I had kept. Couldn’t afford the maintenance to keep it as a daily driver. To be honest, I tend to zone out whenever I see [i]that[/i] red, or a cavallino rampante. Yes, I’m sure it’s marvelous, as it bloody well should be for a design that isn’t subject to any practical constraints. This video is the first that gave me some inkling of the point of a Ferrari. In my opinion one of the (if not the) nicest Ferraris! Love the fact that the guy actually drives it. Wish I was the guy on the bicycle in the tunnel. Engine sound gives me goose bumps! Great video. Keep up the good work! Great work again! Would be nice more BMW videos! E30 specially! BEAUTIFUL. BEAUTIFUL. BEAUTIFUL. The car and the video are great pieces of art! Exquisite. The urban settings and early morning light is perfect. Might be a minority interest but I quite fancy a whole series on starting and warm-up procedures. 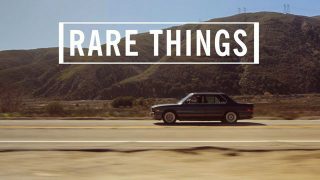 [/list]Every old car has it’s own way of doing things. Daytona is basically the same but needs more like 7 to 8 pumps of the throttle (to fill the six webers) on starting and you don’t use the choke at all. Once (or if) its fired up hold the throttle on about 1500rpm for a couple of minutes (longer on a cold day). before setting off. As with all old 5 speed Ferraris stay away from 2nd gear until the gearbox oil has warmed through. Great night/dawn shots, and great natural audio. Really puts a smile on your face. Petrolicious is 10/10 on the web. Great job! I loved the filming in the predawn darkness.I have started before sun up for 25+ years,and there is something extra special about that time of day. Especially when a Lusso drives by! Awesome. I think I came when he was going through the tunnel. Wow. Keep up the great videos. 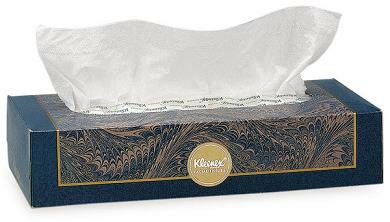 We’re looking out for ya. Great video! 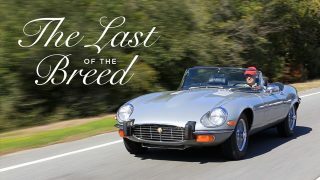 I think Mr. Chen is about modern cars..
Likely the best video to date and a fitting tribute to a glorious car. Great work guys. That’s what I was going to say, one of the best video. I like the spirit of Mr Chen : he’s commited to his car, no looking for showing of with his car, but only to drive it. I have to admit that sun rise is a great moment to drive. I’ve always loved the Lusso. Always thought it was the finest expression of Ferrari. Then over many years as people ask me “if you could have one car….”, I always say their isn’t just one. But, maybe I’m wrong. Their is a difference between loving and being in love ! And, I’m in love with the Lusso. Very nice film. Love the car and the story telling is great too. Another good one guys! Keep it up! great car, great sound and a great video!! !